Prostate gland enlargement is called benign prostatic hyperplasia or BPH. Benign means non-cancerous. Prostatic means of the prostate. Hyperplasia means over-growth of cells. It's normal for your prostate gland to get bigger around the age of 40. Many men won't have any symptoms with this enlargement. But for some men, it can cause problems with urinating (weeing). This is due to the gland tightening around your urethra, the tube you pass urine through. See your GP if you're having problems urinating or have any symptoms that might suggest a problem with your prostate. Your GP might ask you to complete a scoresheet of your symptoms called an International prostate symptoms score (IPSS). Your doctor might carry out a digital rectal examination. This is when they gently insert a lubricated gloved finger into your back passage to examine your prostate. They may also talk to you about having a PSA blood test. 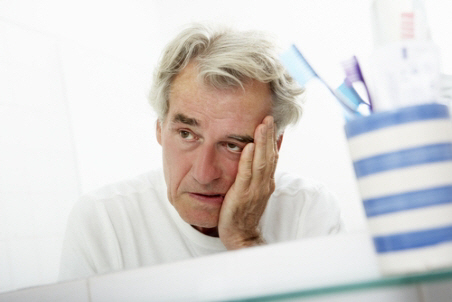 Some men with more severe symptoms of BPH will need treatment for it. This can be with medication such as doxazosin, terazosin or finasteride, or surgery. An enlarged prostate isn't prostate cancer and doesn't cause cancer. But cancer can happen in an enlarged prostate gland, so it's important to keep having regular checks with your GP. Information about BPH, what you can do to manage the symptoms and possible treatments. Written by HealthInfo clinical advisers. Endorsed by clinical director, Urology, Canterbury DHB. Last reviewed March 2018.